Legend is one of those words that can be easily overused. But there are some people to whom it rightly applies. Mrs. Ruby Smith was one of them. 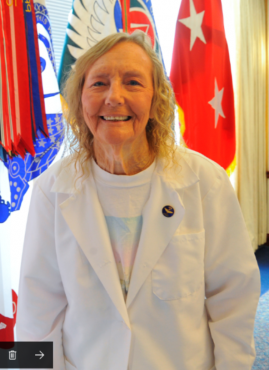 Ms. Ruby, as she was more commonly known, had been a fixture at the U.S. Army Missile Command for decades. She and Ms. Mary Williams have served a number of the Commanding Generals there as “special maids”— doing light cleaning, serving meals and refreshments, and perhaps most importantly, being warm and sweet to those around them. Sadly, Ms. Ruby passed away on June 15th. She died from injuries sustained in a car accident back in March. She was 80 years old. “Her generosity to everyone she came in contact was known by all,” said Phoenix CEO Bryan Dodson. When Phoenix assumed the contract in 2000, she continued to serve the Generals. Ms. Ruby worked for all but one of the 15 MICOM commanders and all 8 AMCOM commanders. Ms. Ruby was laid to rest on June 16th. The sentiments of Phoenix CEO Bryan Dodson are shared by the entire Phoenix family. “We certainly will miss Ruby,” Dodson said.